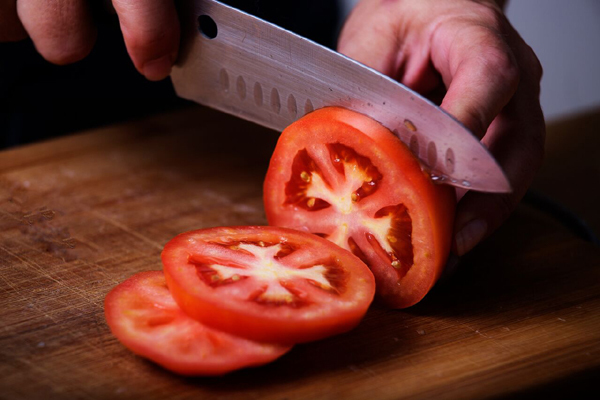 A Sharp Knife is a Pleasure to Use! 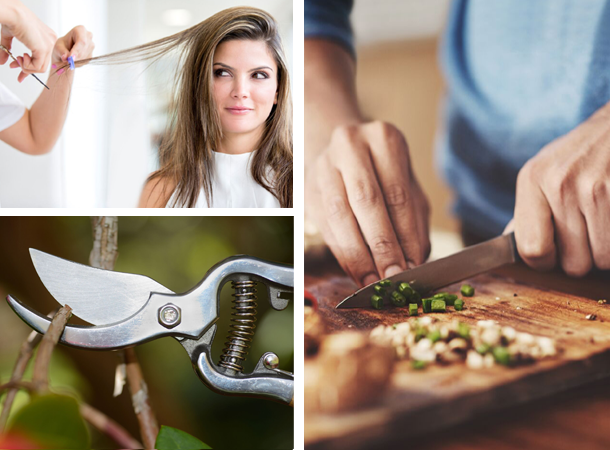 We sharpen knives, scissors, garden tools, and more! 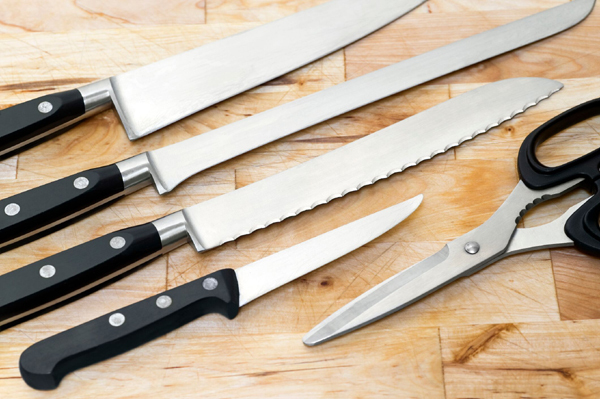 Have your knives become dull and unsafe to use? Do you dread having to fix healthy meals because it’s too hard to chop up all that fresh food? Did someone use your good scissors on plastic when they were meant only for fabric? Are you a hair stylist whose scissors are pushing hair instead of cutting hair the way they should? 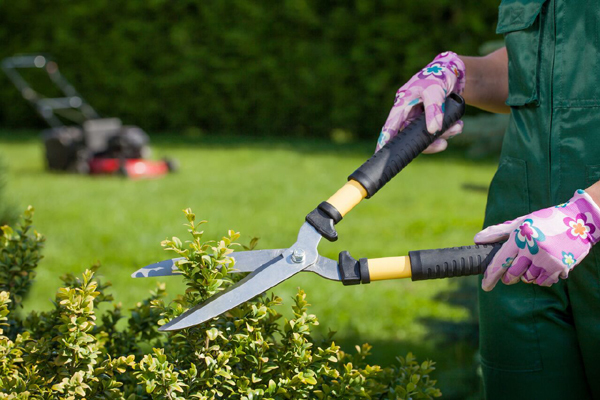 Are you looking at your garden and thinking that your chores would be so much easier if your tools were sharper? We have five ways to serve you! Bring your items to our stall at local farmer’s markets. We provide same day service. Drop off your items at selected venues. Services must be prepaid and items securely wrapped. Make an appointment for service at our home workshop in Frederick (most work takes 15-30 minutes). Mobile sharpening — We will come to you! We charge a $100 minimum for travel to residential and commercial customers in Frederick, Carroll, Montgomery, or Washington Counties, Maryland. Sundays at the Olney Farmers and Artists Market / Olney Crafts Market, 9:00 to 1:00, May 12 through November 3, corner of Olney-Sandy Spring Road and Prince Phillip Drive in Olney, Md. https://www.olneyfarmersmarket.com and http://olneycraftsmarket.com. First Wednesday of the month at the Shady Grove Farmers Market, 11:00 to 2:00, June 5, July 3, August 7, and September 4, corner of Key West Avenue and Broschart Drive in Rockville, Md. https://www.milkladymarkets.org/shady-grove.html. Sunday, April 14, 2019, from 11:00 to 5:00. 5728 Buckeystown Pike (Evergreen Square), Frederick, Md. Same-day service. We are proud to be one of Common Market’s Community Partners! Show your Common Market co-op membership card and receive $1.00 off the sharpening of each item. April 17, July 17, and October 2 at 10:30 a.m. 15926 Luanne Drive, Gaithersburg, MD 20877 (convenient to Shady Grove exit off I-270). Drop off the day before (see drop-off instructions). Same-day service; however, in case of inclement weather, items may be returned on the next business day. 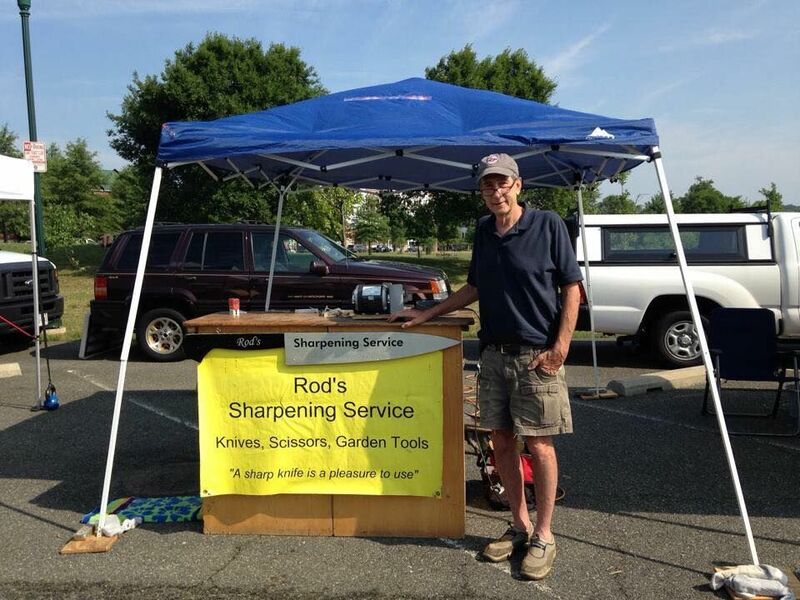 Our knife sharpening won Second Place in a Sharpeners Report contest in Hickory, N.C. in 2015. Unlike some other sharpeners, we use a guided system that guarantees accurate angles. Just about all diets feature fresh fruits, vegetables, or meats. 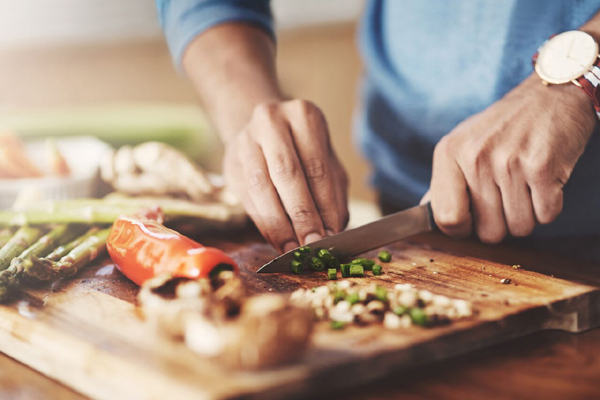 You’ll need a sharp knife to cut up all that wonderful food! Salon shears should cut hair, not push it. 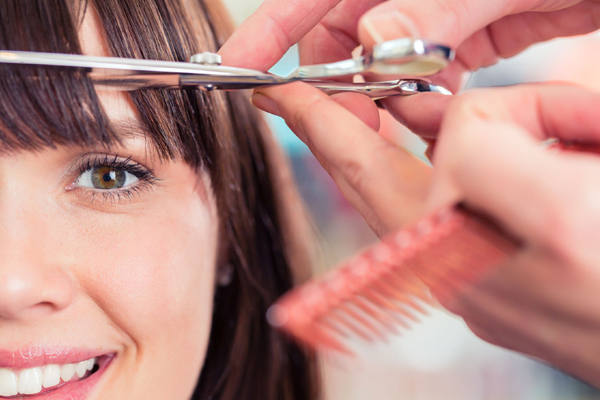 Properly sharpened shears are easier on stylists’ fingers and wrists, too! Spend less time on gardening chores and more time admiring the results. Sharpened garden tools are much easier to use! Copyright © 2019 RodsSharpening.com. All Rights Reserved.